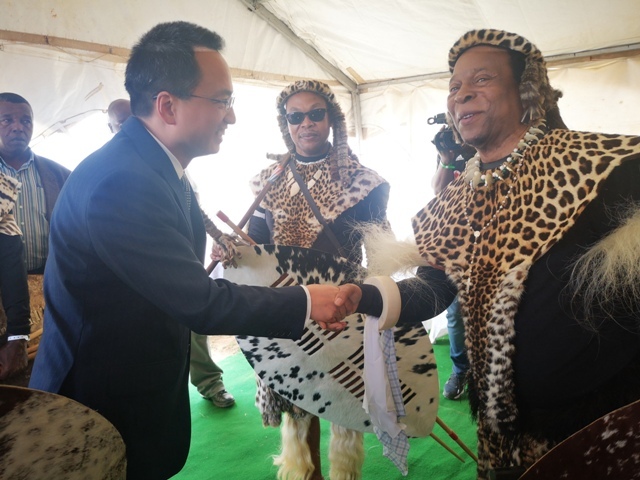 On January 25, 2019, Consul General Fei Mingxing attended the 140th Commemoration of the Battle of iSandlwana at the invitation of His Excellency Goodwill Zwelithini, the Zulu King. The King welcomed Consul General Fei to his Kingdom and the commemoration. Consul General Fei thanked the King for his invitation and congratulated him on the success of the event.